In case you missed it, next week’s episode of ABC’s Once Upon a Time is a musical. 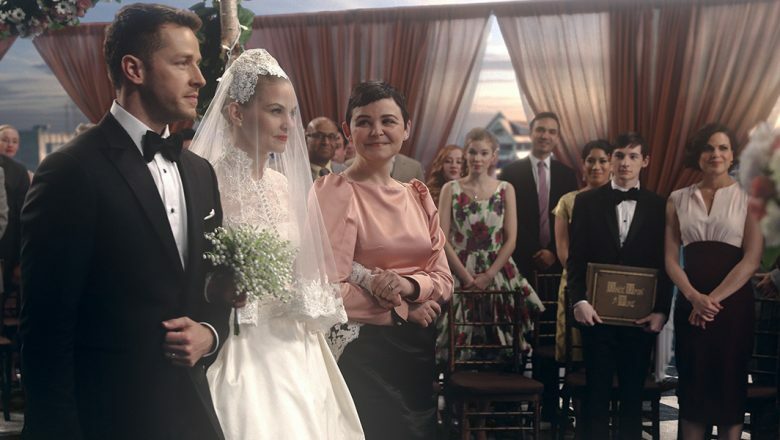 In flashback, Snow and Charming make a special wish that Emma will be protected. The result of their wish has the whole kingdom bursting into song which infuriates the Evil Queen. 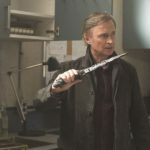 Meanwhile in Storybrooke, the Black Fairy announces her plans to unleash another curse on the town while Emma and Hook prepare for their wedding. To make the episode, series creators Adam Horowitz and Eddy Kitsis enlisted the help of songwriters Alan Zachary and Michael Weiner, who wrote the music for Disney Cruise Line’s Twice Charmed, to create seven original tunes. 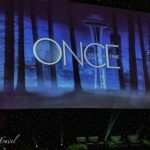 D23 interviewed Horowitz and Kitsis about the episode as well as their thoughts on the show’s most recent season as well as what we have to look forward to.